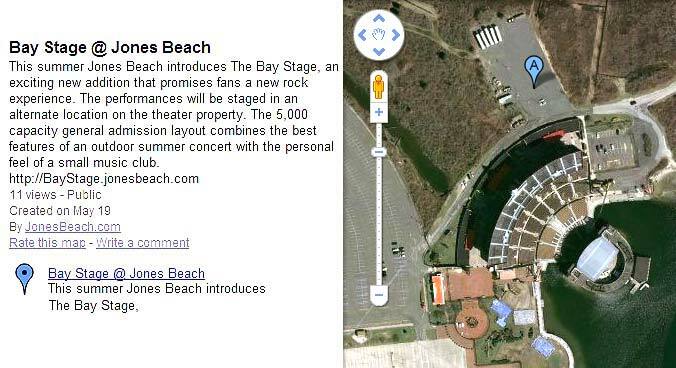 The Bay Stage is an exciting new addition that promises fans a new rock experience. The performances are staged in back of the concessions on the theater property. 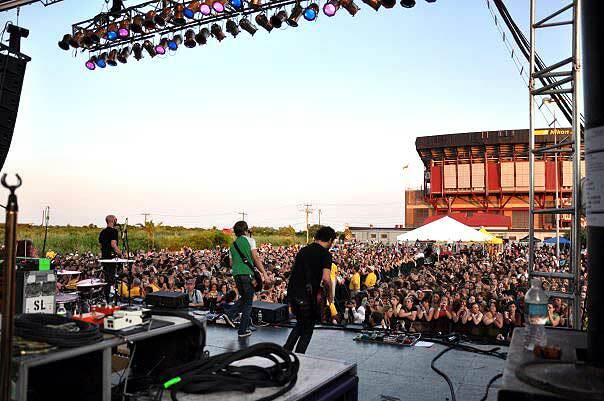 The 5,000 capacity general admission layout combines the best features of an outdoor summer concert with the personal feel of a small music club. 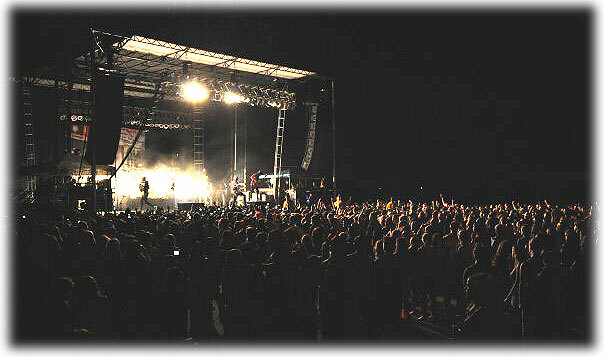 ♫ The Bay Stage events will be located inside the licensed property and located a short distance from the VIP area. Events will not be able to be viewed/heard from the VIP area. ♫ Children are allowed in the venue. All guests older than 2 years of age are required to hold a valid ticket for that day’s event. We encourage guardians and guests to bring ear protection. We do not have control over the content of performances and may not be suitable for all ages. Others may also consider certain content objectionable. ♫ Unfortunately, for the Bay Stage, there will be no grassy areas where blankets can be used. No lawn chairs will be allowed into the venue. The events will be General Admission and Standing room only. ♫ There will be a “Parent Zone” area located inside the theater which parents, guardians and anyone who is waiting for a child may utilize at no charge. People wishing to utilize this PZ area may check in at the main gates with our event staff. Guests will be directed to the area and must remain inside this secured area of the venue until they are ready to leave the event. There will be restroom and concession facilities available to all guests inside this area. ♫ Due to seasonal rainfalls, mosquito repellent may be a good idea for the Bay Stage events.